I am sure that you have rounded up your recipes for tomorrow and are all set. But.. 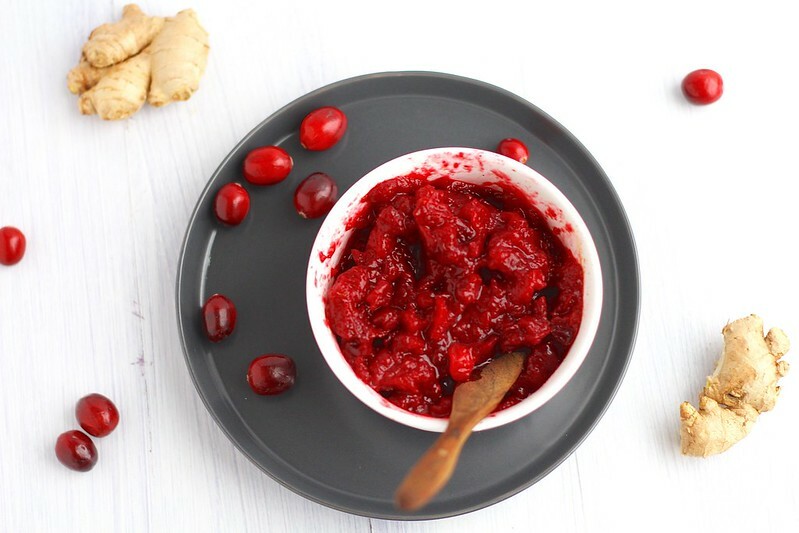 I couldn’t resist sharing this super simple and fast cranberry sauce recipe. This past weekend, we celebrated our Thanksgiving, like we alway do. 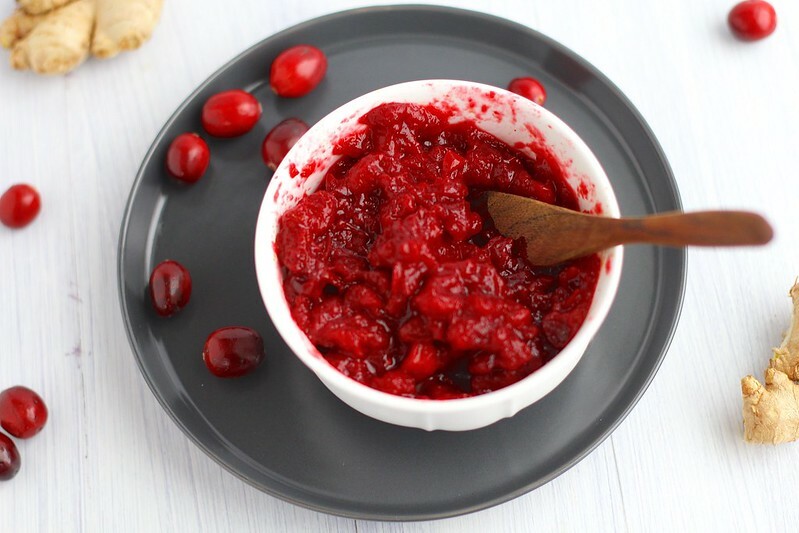 I made our usual favorite cranberry sauce, but I had come across this recipe last week, and decided last minute, to add it to our Thanksgiving table as well. I am not usually a chunky cranberry sauce fan, but with this recipe, I’ve been converted. It has a great ginger kick, a little sweetness from the riesling, which really makes the cranberry flavor really pop. No refined sugar, just maple syrup as a sweetener. This dish comes together rather quickly, a little chilling time, and you’ll be spooning this over your turkey in no time. I hope you all have a wonderful, filling Thanksgiving full of love and good times! Place all the ingredients in a medium saucepan over medium heat. Bring to a simmer and cook, stirring frequently, until almost all the cranberries have burst open, about 10 minutes. Remove from the heat and set it aside to cool slightly. Then transfer the cranberry sauce to serving container, cover and refrigerate until completely cool, about 2 hours. Store in an airtight container in the refrigerator up to 4-6 days.